Do you guys remember the Bowflex selecttech 552 adjustable dumbbell review I wrote about? If you have bought them, then the Kettle Gryp is the perfect product that you could buy today. This combined with a CrossFit workout is a dream come true. This product is supposed to be very portable, meaning that you can finish your workouts and carry these around too. 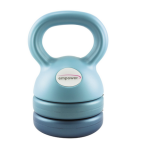 On top of that, the gryp aims to be a cheaper solution to having a full-fledged kettlebell at your home. 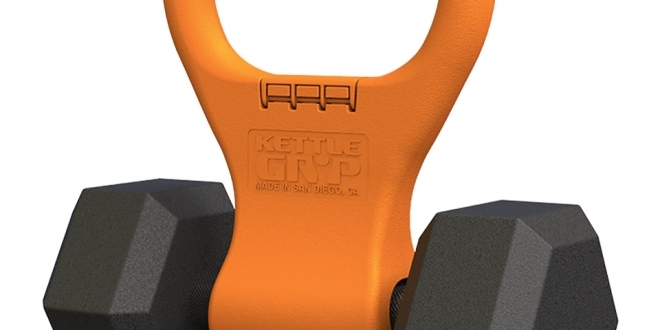 Kettle Gryp is a portable dumbbell adapter that turns ordinary dumbbells into dynamic workouts. KettleClamp is a small company that was founded to make sure that buying a dumbbell was just enough. The company philosophy is that in order to properly do CrossFit, you would need multiple kettlebells as one varies their workout. 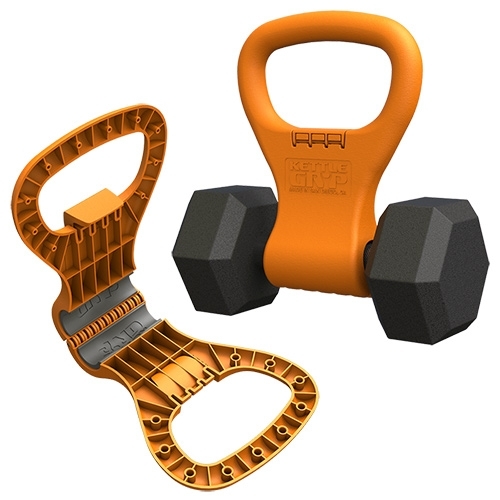 They wanted to improvise and convert an existing set of dumbbells into a kettlebell since that was available to them. This is the only product that this company manufactures. A lot of the positive reviews have given this product a recommendation because of the low price that it carries. 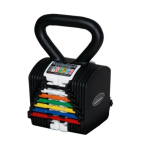 Despite the price, it seems to work well with a large set of dumbbells, assuming that they fall under a size range this product is compatible with. While I have nit-picked about having issues with adjustments, many people find that this is a better solution to their exercising needs as compared to buying a set of kettlebells and cluttering their home gyms. 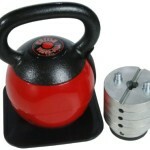 A lot of people, however, have preferred to buy a better and expensive adjustable kettlebell instead. This is primarily because by design, the weight of a dumbbell is balanced on two sides. However, the weight of a kettlebell points downwards instead. While using the gryp along with my pair of adjustable dumbbells, I have noticed that I have been incorporating a squat into my kettlebell swing. Once you start using a real kettlebell, you will notice that your timing will improve vastly because of this. However, you will benefit greatly from just using these to finish your CrossFit workouts. There is a caveat though. This is in no way a substitute for a real kettlebell. If I had the choice to buy stuff, it would all come down to my needs. I have been travelling a lot, and I simply cannot carry my entire gym set with me everywhere. This is why this product suits my needs perfectly. If you are planning to not move around a lot or need something that just about is a real kettlebell – get an adjustable kettlebell instead. If you are like and tend to use quite terrible hotel gyms, then this is the perfect piece of equipment for you. If you are planning to practice a lot of two-hand swings, then this tool comes in very handy. Stuff like goblet squats is very uncomfortable to attempt using this device. With a bit of adjustment, you will be able to perform single arm presses as well. I had too much trouble with Turkish squats with this device, so I just gave up on trying to correctly do that. This is primarily because the weight using this is not centred, but is on the sides. On a real kettlebell, most the weight presses downwards instead. I am not a big fan of the locking mechanism either, but it works fine. As far as cost goes, you can buy cheap kettlebells, but then they never last for me. This product is quite sturdy and can take some abuse. At the same time, it is not too expensive either. Seems like a win in my books with regards to price. The bottom line is, if you have a home-gym setup, and aren’t an avid traveller who works out, you are better off investing in a more expensive kettlebell. You can find some of my kettlebell reviews here. Having said that, if you do fit into the criteria of someone who travels quite a lot, I would definitely recommend you to check out this product. 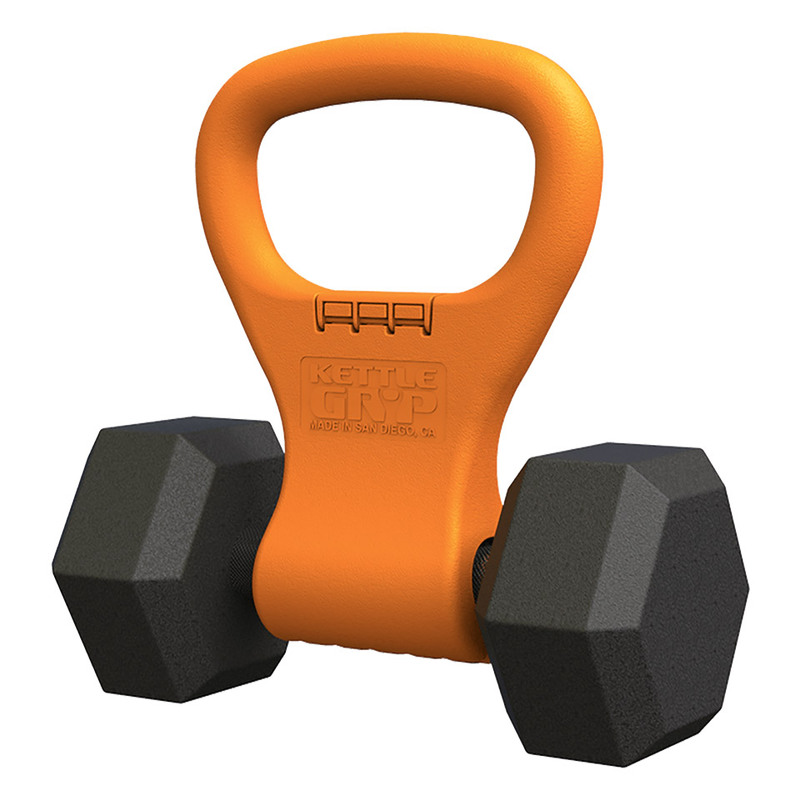 adjustablekettlebellreviews.com is a participant in the Amazon Services LLC Associates Program, an affiliate advertising program designed to provide a means for sites to earn advertising fees by advertising and linking to amazon.com.